Ideas happen at the most inconvenient of times. My first zine came into existence during a survey course on English literature, in October 2011. While my lecturer talked about Beowulf, I sat in the first row, drawing a poster in a notebook, creating the zine’s tumblr page on my laptop and tweeting out to my followers on twitter from my phone. This poster was created by enlarging a page from a notebook by about 200%. Form isn’t that important to me. I need it to exist. A year later, I was ready to print. But I didn’t know how to layout, and I was stalling. The same thought finally overwhelmed me: It needs to exist. I can’t wait around until I get kissed by the magical layouting muse, or until a freelance graphic designer offers her help to me for hugs and cookies. So I downloaded Scribus, a free layouting tool, and went to work. Sure, the finished product doesn’t look polished, but the content is there. You can read it. There is a title page and columns and room for illustration. It exists. And that’s the most important thing. 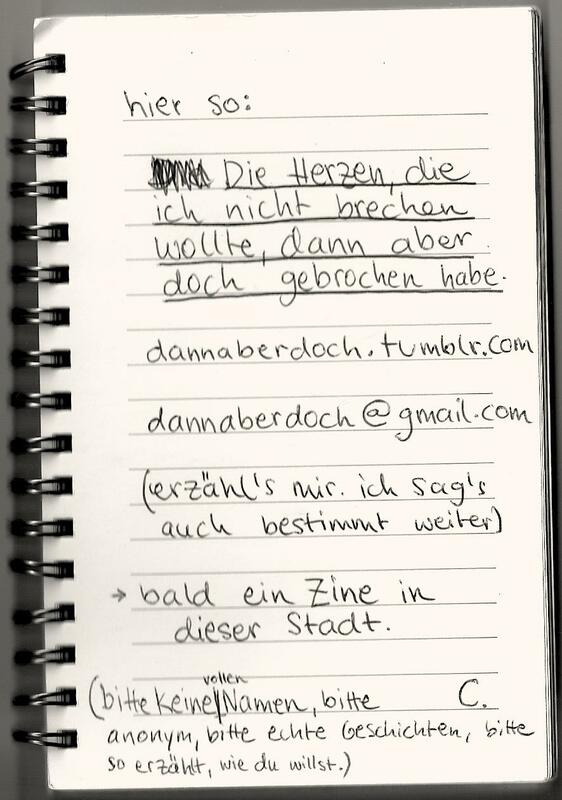 Tags: content, crafts, ideas, inspiration, notebook, writing, zine, zines. Bookmark the permalink.